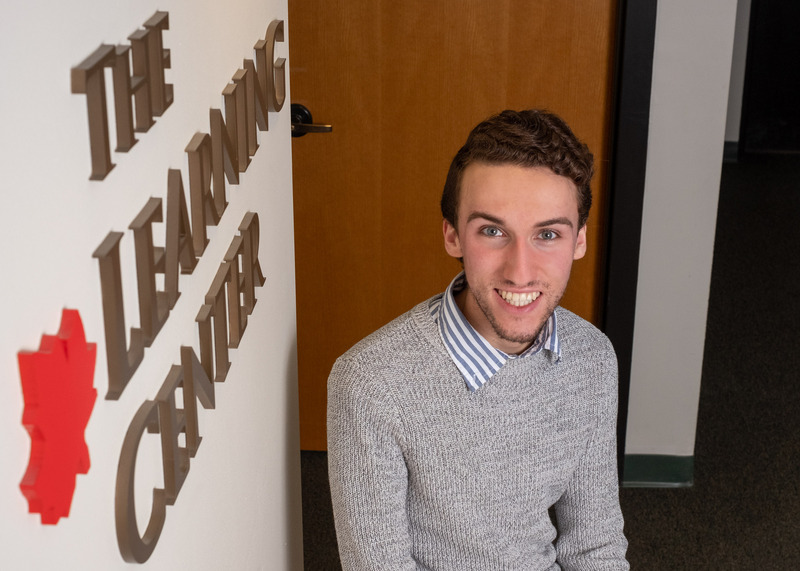 Jade Premont, CCVJosh Huffman completed Early College at CCV and is now finishing his sophomore year at UVM. Hanging out with Josh Huffman is just plain fun. Access Days give middle school students a chance to experience college. Introduction to College and Careers is a free class for high school students about preparing for college and careers. Dual Enrollment allows high school juniors and seniors to take two free college classes. Fast Forward allows technical center students to earn college credit. Early College is FREE for high school seniors who want to finish high school and start college at the same time. Josh has made close friends, many of whom are fellow theater majors. This weekend, a handful of them will perform alongside him in Lyric Theatre’s production of Mamma Mia! at the Flynn Center for the Performing Arts. “There’s six others from UVM. It’s fun to just see them on campus and start singing ‘Dancing Queen,’” he says, raising his arms and snapping his fingers. There’s the sense that luck doesn’t have much to do with this former Early College student’s success. But just in case, CCV has one last piece of advice: Break a leg, Josh!